The Court of Appeal today comprehensively dismissed four criminal law barristers’ challenge to the Legal Services Board’s (LSB) approval of the Quality Assurance Scheme for Advocates (QASA). With the Master of the Rolls, Lord Dyson, giving the lead judgment, the court found that the scheme is lawful, does not interfere with the independence of the advocate or the judiciary, and that the Legal Services Board’s decision to approve it was neither disproportionate nor unreasonable. Upholding the decision of the Divisional Court to dismiss the judicial review, Lord Dyson said that if it had been necessary to decide whether judicial assessment of advocates under the scheme undermines the independence of the advocate – as opposed to whether the LSB properly considered this issue – “we would conclude that it does not do so”. The claimants argued that judicial independence would be undermined by having judges at risk of civil suit by a disgruntled advocate who received an adverse assessment. Lord Dyson said that even if this possibility was a real one, this cannot impact on the independence of the judge in his conduct of the trial. “Even if a judge feared being sued by an advocate to whom he had given an unfavourable assessment, it is impossible to see how this would impact on the judge’s conduct of the proceedings. Lord Dyson told the opponents of QASA that they can “take some comfort” from the fact that there will be a review of the scheme after two years. “That is an important safeguard,” he said. 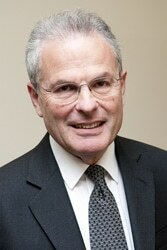 Legal Services Board chairman Sir Michael Pitt said: “I am pleased that the Court of Appeal has comprehensively supported the High Court’s judgment, which itself confirmed that the LSB followed the proper processes and that the work of the Bar Standards Board (BSB), Solicitors Regulation Authority and ILEX Professional Standards in developing the QASA scheme was valid. BSB director-general Dr Vanessa Davies: “QASA has always been about protecting the public from the minority of advocates who are not as good as they should be. In the words of the Master of the Rolls, ‘the whole point of an assessment scheme is to weed out incompetent practitioners’. The Court of Appeal raised concerns about the BSB’s policy over appeals against assessments, and Dr Davies said the BSB will “act quickly” to clarify this. Implementation of QASA has been delayed pending the outcome of the ruling, and in the coming days each of the regulators are likely to publish the revised timings. This is perhaps one of the most terrifying judgments I have seen reported. Anyone who knows anything about how the criminal courts operate, knows that judges often take a firm view of how a case should be determined at an early stage. This judgment will fundamentally affect the ability of lawyers to represent their clients properly and in accordance with their proper instructions.